Spray an 8-inch nonstick skillet with vegetable cooking spray and heat over medium heat for 1 minute. Add the zucchini and red pepper. Cover and cook until the vegetables are tender. Remove the vegetables from the skillet. Wipe the skillet with a paper towel. Spray the skillet with the cooking spray and heat over medium heat for 1 minute. Add the egg substitute, vegetables, goat cheese and chives and cook until the mixture is set. Season with the black pepper. Remove the frittata from the skillet and cut into quarters. 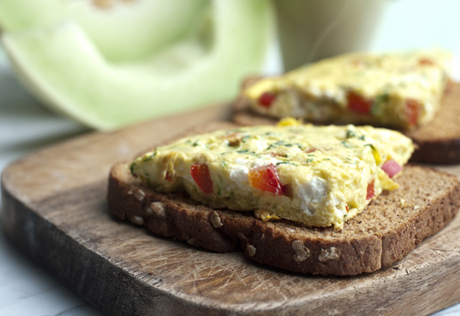 Top each bread slice with a frittata wedge. 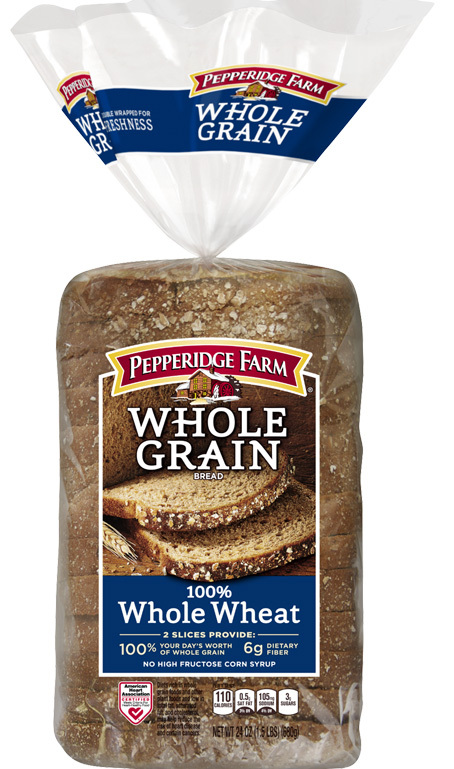 Easy Substitution: Also delicious with Pepperidge Farm® Whole Grain 15 Grain Bread. Serving Suggestion: Serve with heat & eat turkey sausage links and sliced fresh melon. For dessert serve yogurt and granola parfaits. Fast quick meal or snack.